This third Daring to Lead brief examines the paradoxical nature of board and executive director relationships. 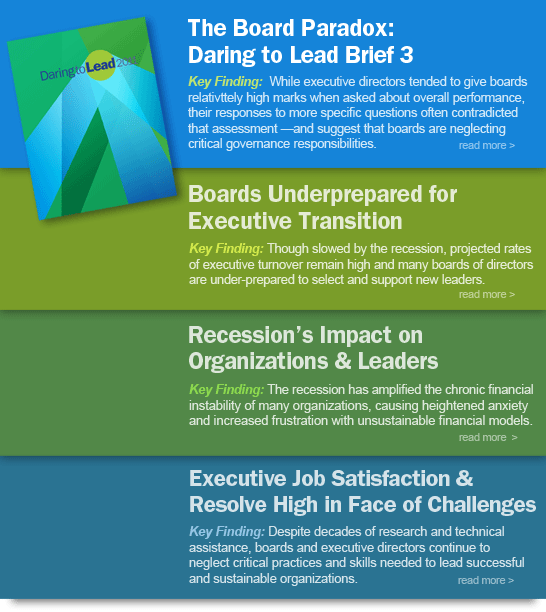 These are just some of the key findings from Daring to Lead 2011, a national survey on nonprofit executive leadership. 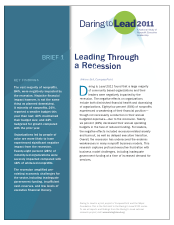 Be sure to download the full report in PDF for more findings and corresponding calls to action for nonprofit leaders, boards of directors, and funders.